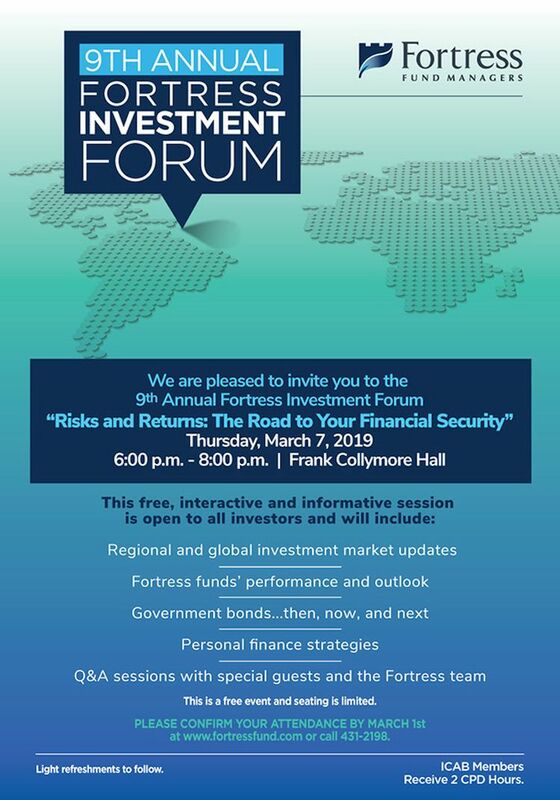 This is the ninth annual forum presented by Fortress Fund Managers. Fund managers will report of the performance of their mutual funds and provide regional and global investment market updates. 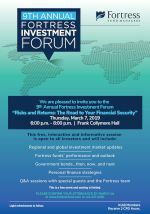 Risks and Returns: The Road to Your Financial Security. There will be a Q&A session afterwards with special guests and the Fortress team. PLEASE CONFIRM YOUR ATTENDANCE BY MAR 1st.